Dental implants are the permanent fixtures that are affixed to your jawbone which enables you to bite, chew and speak without any difficulty. They can replace missing, decayed, or damaged teeth to offer a beautiful smile. Dental implants have a very high success rate since they replace the missing teeth efficiently. After the dental implant surgery, patients must take comprehensive care of the area surrounding the implant. Especially, don’t disturb the affected site during the initial days that follow the surgery. Avoid rinsing, spitting, and touching the mouth for a day after the surgery to stop irritation. 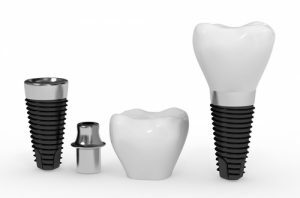 Here, the dental expert who offers reasonably priced dental implants cost in Sydney provides some tips to follow after the dental implanting procedure! It’s normal during the first 24 hours after the surgery. Experts recommend biting on gauze pads to control and minimise the blood flow. Gently bite down on the gauze pad and try to maintain continuous pressure on the affected site until bleeding stops. Swelling is normal after the dental implanting procedure. To minimise swelling, try to avoid energetic activities and workouts. Use ice packs for the first two days to lessen facial swelling. Maintain good oral hygiene after the surgical procedure. The surgical area should be kept clean to avoid health complications. Brush your teeth properly. Rinse your teeth with salt water to prevent oral infections. For the first few weeks after the surgery, avoid using straws. The suction that’s created while using straw can stimulate the blood to clot. After the dental implanting procedure, avoid smoking since it has a huge risk of infection which also increases the risk of implant failure. Also, Tobacco products delay the healing process and grounds for gum inflammation and infections. Thus, professionals who offer the cheap dental implants in Sydney recommend avoiding smoking and tobacco products completely during the healing process. Until complete healing, you can expect some difficulties while eating or drinking. Carefully plan your diet. That is, try to avoid hard, crunchy and chewy foods before healing. Always stay hydrated and pick soft and easy-to-chew foods like Oatmeal, veggie soups, mashed potatoes, fruit squashes, and much more. To avoid infection and to accelerate the healing process, rinse your mouth thoroughly after each meal. Enhance your smile and appearance. Bring back the functionality of your natural teeth. The healing time may vary for each case depending on the health condition of the patient. Regular dental check-ups and proper oral hygiene help the dental implants to last for a long time. When planning for a dental implanting procedure, consider the affordable dental implants cost in Sydney!